Meet Me at The Mount! In less than two weeks, I’ll be reading at The Mount from my new novel, The Age of Desire, a novel about Edith Wharton’s life, and particularly the years 1907-1910 when she met and fell in love with Morton Fullerton. I can’t think of a more thrilling place to send my fragile infant out into the world: in the stables of the grand white house that Edith built with heart, soul and conviction, in the rooms where she walked, slept, hosted and pined, in the hills of the Berkshire mountains, where for a time, Edith found peace and joy and wrote one of her greatest masterpieces, The House of Mirth. I have loved Edith Wharton’s writing for all my adult life, which is why I was inspired to write a novel about her life. She has always been my touchstone as a writer. When I’ve grown frustrated with a novel I’m writing, I’ve turned to her for solace. When I’ve gotten lost, I’ve read her for direction. I never tire of her prose, which seems to me woven from the finest cloth. Or her stories of people caught in the strictures of society’s expectations. 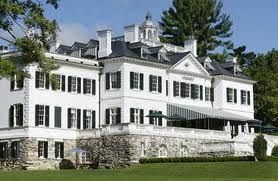 A large chunk of my novel takes place at the Mount. I had never walked through its rooms when I began to write the first scene there, having planned a trip that was to take place a month later. I assumed that I would simply change the details once I walked through Edith’s famous house. 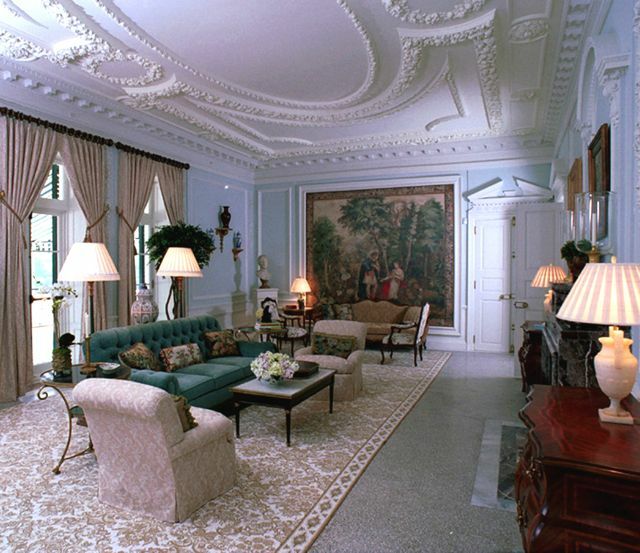 But an extraordinary thing happened: the rooms delineated themselves sharply in my mind, especially the drawing room. And without photos to guide me, I began to write a scene that takes place early in the novel when Edith hosts Morton Fullerton. I imagined French doors opening to the terrace, the sheer size of the room. Moldings. Beauty. When I finally arrived at the Mount, the drawing room was exactly as I’d recalled, to the detail. I had chills when I stepped into the very room that I had conjured with no guide. I’m sure I will experience chills again when I step before the kind people who come to hear passages from The Age of Desire. I know I will feel Edith’s brilliant presence in that room. I hope she will smile down on all of us. I’m reading at The Mount on August 7th at 5:00 to 6:30 including a book signing and wine afterwards. If you’re in the Berkshire area, I hope you’ll join me! I visited Edith”s house in Hyeres, France last year. Did you go there? I spent time in Paris, and many of the places where Edith and Morton escaped Paris to be together, but I didn’t go to Hyeres as she moved there after World War I. However, I’d love to see it! Did you enjoy it? 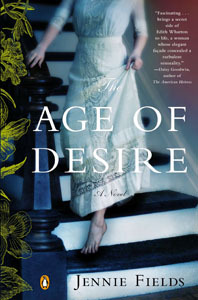 The Age of Desire Paperback Tour!